It's definitely been a while since I bought a few new bits for around the home. When we first moved in I went mad with shopping for the house, and here we are on the run-up to Christmas, with having a little kitten to fed & tend to, I now find myself with not so many spare pennies for selfish treats, unfortunately! Don't get me wrong, Christmas is all about giving for me and I love surprising people with special gifts year after year. 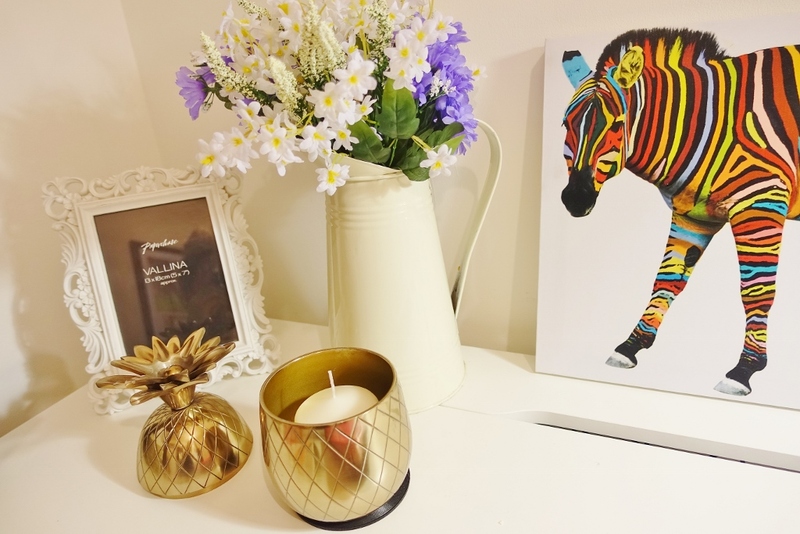 However recently I've been feeling a bit glum about the house, it was getting a little messy and disorganised, and you know what they say.. your environment really can have such an effect on your mood and outlook! So I decided to have a much needed clear up and reorganise, resulting in this beautiful-looking office space.. Don't you think it looks great? 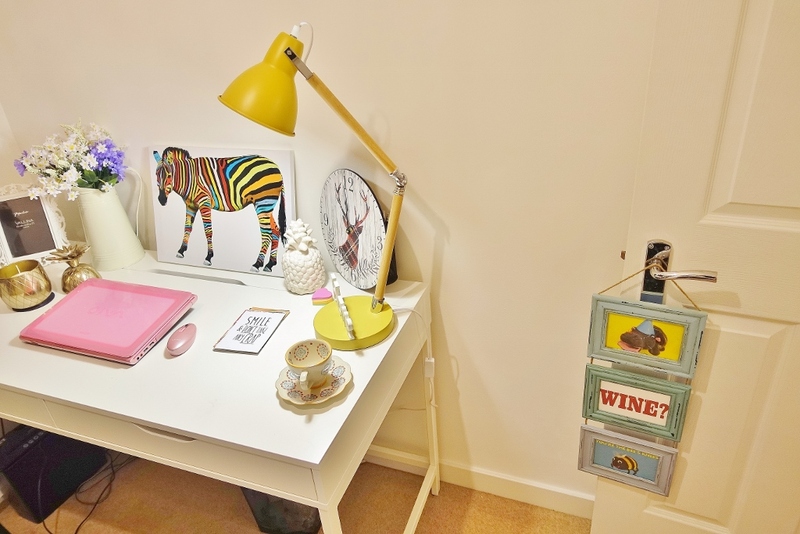 I even spotted this fab yellow retro desk lamp in Cargo home stores with 20% off the ticket price, I've been looking for a desk lamp like this for a while now, I was really drawn to the wooden frame and knew it would look great on my white IKEA desk. 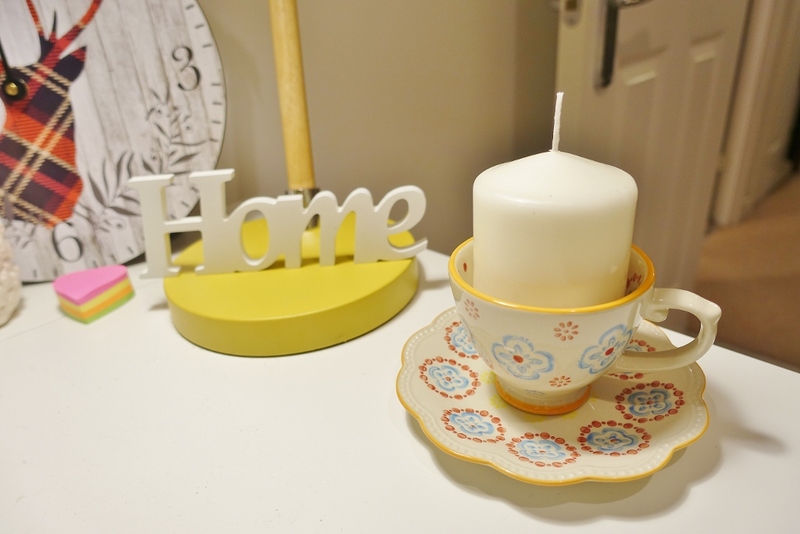 My office desk has been decked out with a few other new bits including this wonderful bold Moorish stoneware cup and saucer from Rex London, yes it's probably most suited to a kitchen environment, however, I thought it would look really cute as a candle holder! 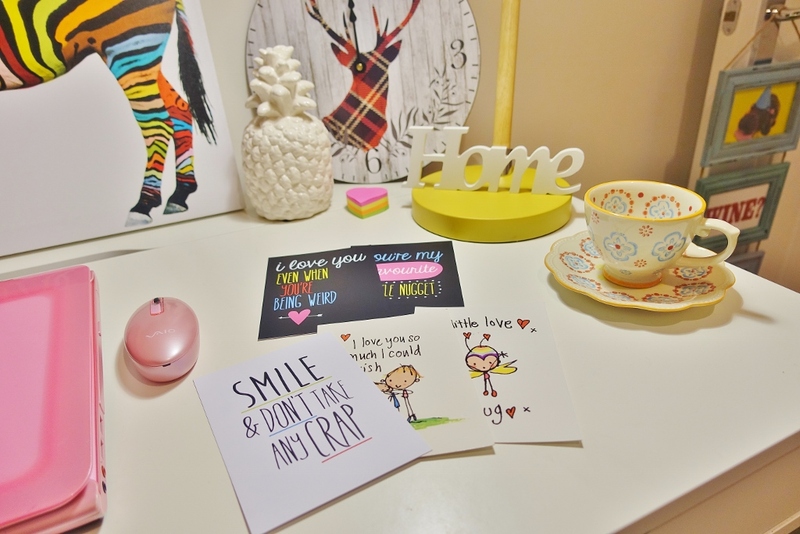 The shabby chic multi-frame is also from the Rex London and instead of popping in some photographs, I've popped in some of my favourite Paperchase postcards which I frequently find myself buying! I'm really glad I've discovered the Rex London as there site is full of shabby chic goodies and some lovely crockery, they even do the cup and saucer in a full crockery set - I can't wait to get my hands on some more pieces from their site! 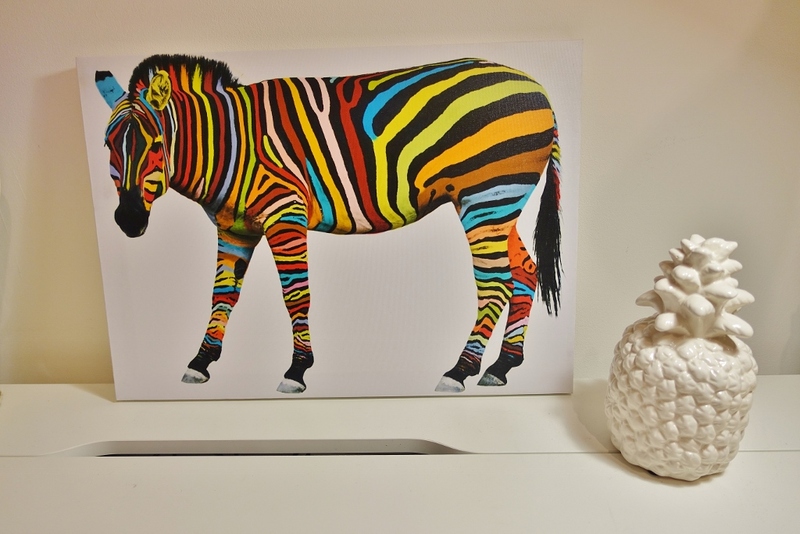 That's what I love about home-ware, a little bit of mismatch can sometimes look great where you least expect it. 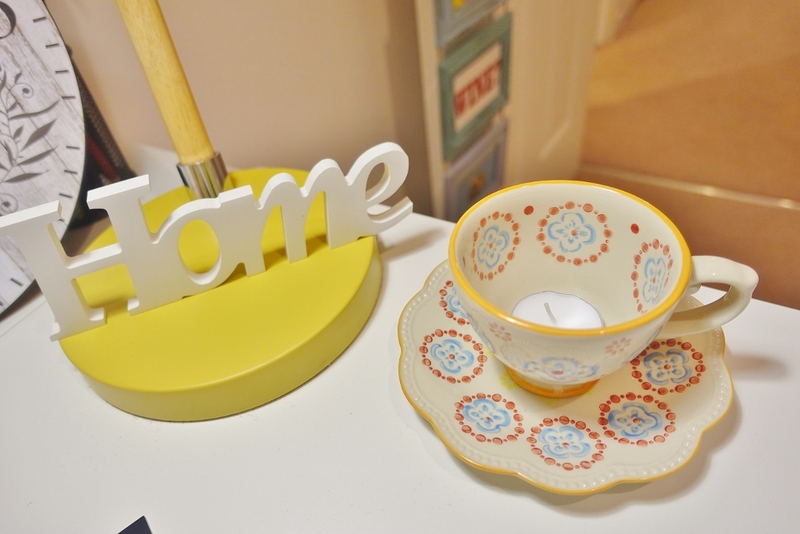 I also was sent a couple of bits from the new Aldi special buys range, to be honest, I wasn't even aware Aldi did home pieces so this was a great surprise as theres some super cute items at low prices too! 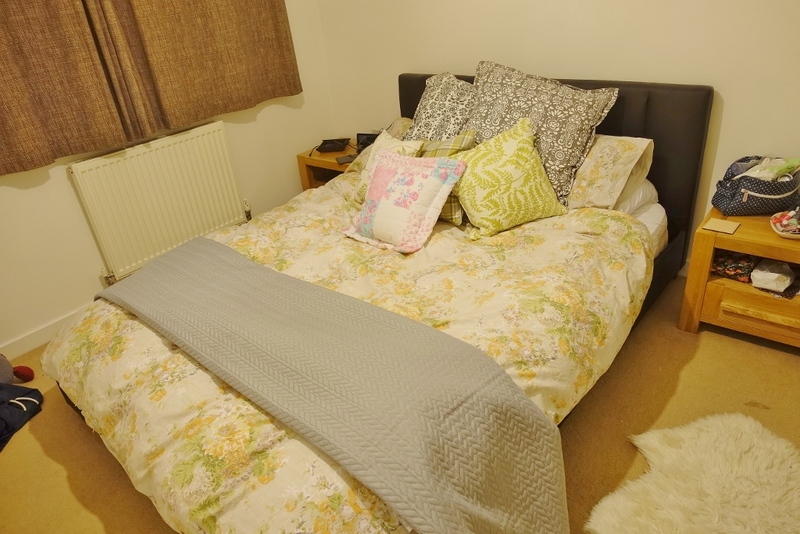 These pieces are from their new home and bedroom range which go into stores weekly (Thursday's and Sunday's). 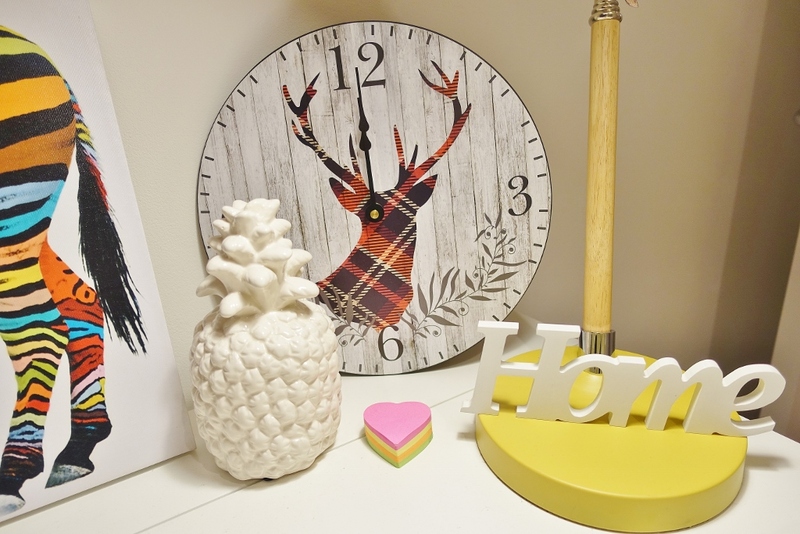 Pieces featured from the aldi new bedroom range included this lovely thick grey duvet spread; perfect for the chilly winter nights, plus this very autumnal deer wall clock (which unfortunately I haven't been able to hang on the wall yet). There's also a gorgeous duck blue cushion which you've probably seen featured on my sofa over on Instagram page! 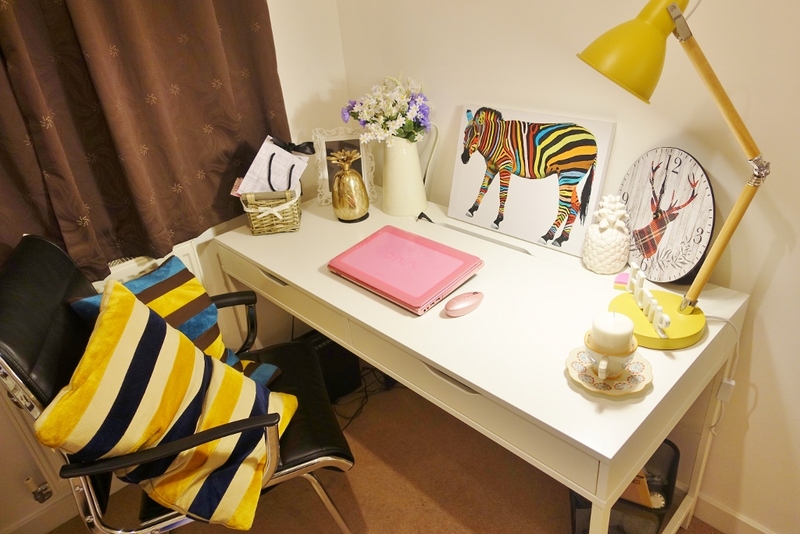 I'm really pleased with how my new office space is looking, somewhere I can blog, feeling positive! 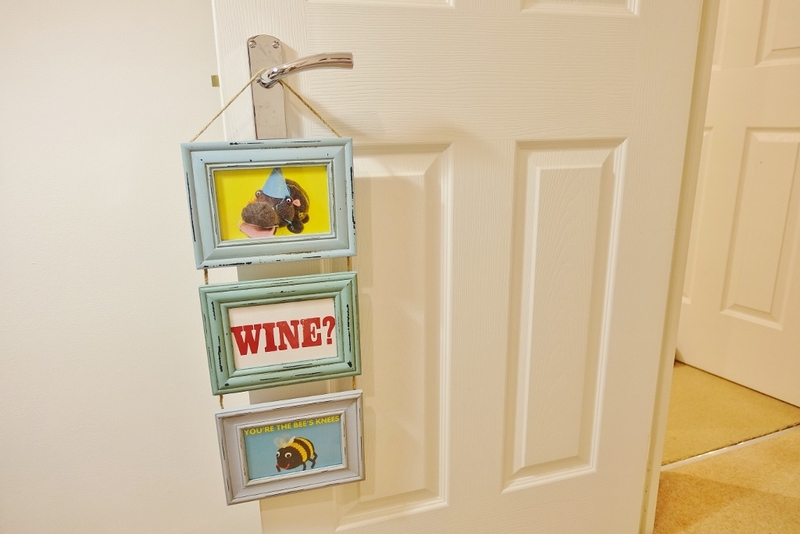 What's your latest home-ware purchase? Kind of a little (I mean very) in love with that desk lamp. Love the colour!! Sometimes you can find some AMAZING things in Aldi for the home. I bought these retro cake tins and I love them. 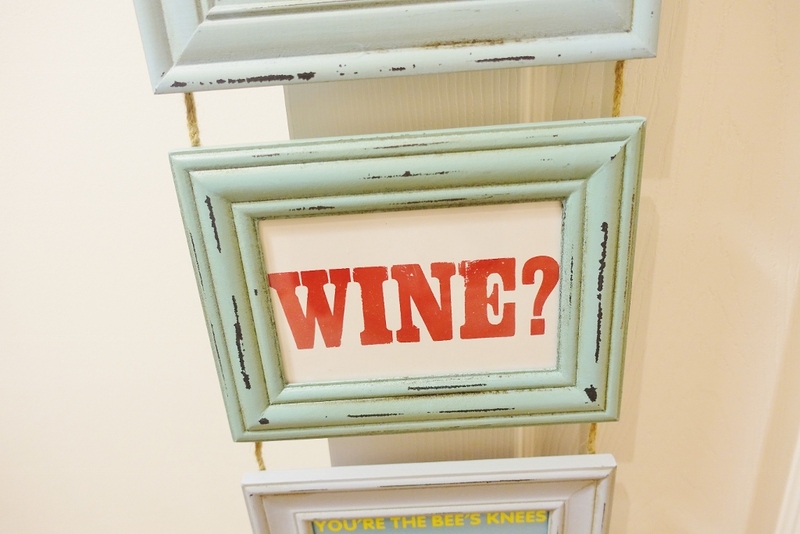 I'm the same, our house is a bit of a tip at the moment and it does effect your mood, so we're decorating this weekend! WOOO!